Pernod Ricard USA (PRUSA) is an enormous, geographically diverse company with locations all across the country. Even within those offices, there are internal divisions created by brand and purpose. In addition, PRUSA maintains ongoing communication with a vast network of spirits distributors and their sales force in the field. .PRUSA wanted to share their stories of success, new brand announcements and build their corporate culture - “creators of great company”- all within a company newsletter! But, company e-blasts weren’t being read - the “delete” key was getting a workout. .Wanting to communicate more effectively across their divisions and into the distributor/sales field, and driven by a need to bring their employees together, PRUSA tasked HCA Mindbox with creating vehicles that would achieve these objectives. Given the ease and reduced expense of electronic communications, there can be a tendency to over-rely on them, sometimes to the detriment of internal corporate messages getting through the clutter of day-to-day email.  For internal PRUSA communications, HCA Mindbox chose to pursue a more traditional method that would be a quick, engaging read, while supporting the PRUSA mandate of keeping all employees informed and up-to-date on new products and promotions. The beverage alcohol industry is highly regulated, and reaching the PRUSA distributors and their sales force presented a unique challenge. PRUSA must disseminate information across a variety of regions – each governed by strict regulations and mandates that determine the manner in which spirits products and programs are managed. Information has to be issued in a time-sensitive method across the country, while corresponding to the various legalities. This challenge was addressed using a customizable product that offered the required flexibility and rapid turnaround. Internally at PRUSA, the Shaker was born. This glossy, graphic-intense tabloid newspaper has captured the essence of PRUSA, and the attention of the employees. A high-energy collection of event stories, brand launches and lots of great photography, the Shaker has achieved with its traditional print format what virtual e-newspapers weren’t able to – engage the PRUSA employees and build their team culture as “creators of great company.” From the front offices to the mahogany suites they’re reading – and enjoying! – the Shaker.